The journey to self-optimization is filled with struggles and discoveries. Why not travel it in a decked-out van holding meaningful conversations with inspiring people? This is exactly what Ryan Munsey, author of the book F*ck Your Feelings did when he launched the Better Human Project podcast. 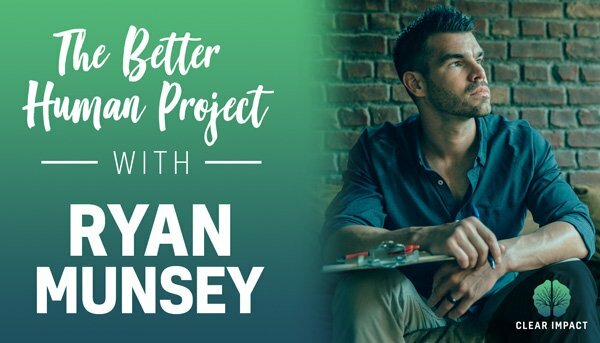 Today we’re excited to have Ryan on the show as we have a conversation around the history of biohacking and how his experiences with the Optimal Performance podcast lead him to launch the Better Human Project. Step outside your comfort zone and seek growth! All about the Better Human Project and podcast. How airplane emergency protocols apply to real life situations. The pros and cons of the label “biohacking”. How watching people train for the Olympics inspired Ryan. Why you should f*ck your feelings when it comes to decision-making. How you can optimize your life to serve others, #bebetter and #dobetter. How to get involved in the Better Human Project.